Welcome friend. Of all the fitness sites out there, I’m glad to have you here. Simply put, I’m all about sustainable health and joyful living. In all honesty, I got into exercise science because I thought it would be fun and because I LOVE to move. That’s why I named my business Beth Burns Fitness. The rest of it – the nutrition, the mindset, & the lifestyle – did not come as easily to me. In fact, I struggled with it for a long time. Luckily, I was blessed by people who were willing to come alongside me and teach me what they knew. Through perseverance, practice, and lots of trial and error, I have been able to improve those other areas and the benefits I have experienced are too many to count. My passion now is to pay it forward by helping others change their mindset and lifestyle by looking at health and fitness differently…. *As continued improvement instead of momentary perfection. *As a way to get strong instead of just skinny. *As something that is fun and enjoyable instead of a necessary evil. *As a lifestyle instead of a quick fix. *As true moderation instead of deprivation. *As something that enriches your life instead of burdens it. My mission is to be a light in the fitness industry. A place you can turn to for an honest and balanced approach. An approach that aims to make health and fitness fun, enjoyable, and sustainable, so that you can live and enjoy life to the fullest! I don’t pretend to know all the answers or have it all together. My goal is simply to provide you with all the information you need in order to design the healthy lifestyle you desire. For everything fitness, nutrition, and mindset – or whatever else is goin’ on in my head- you can check out my blog. 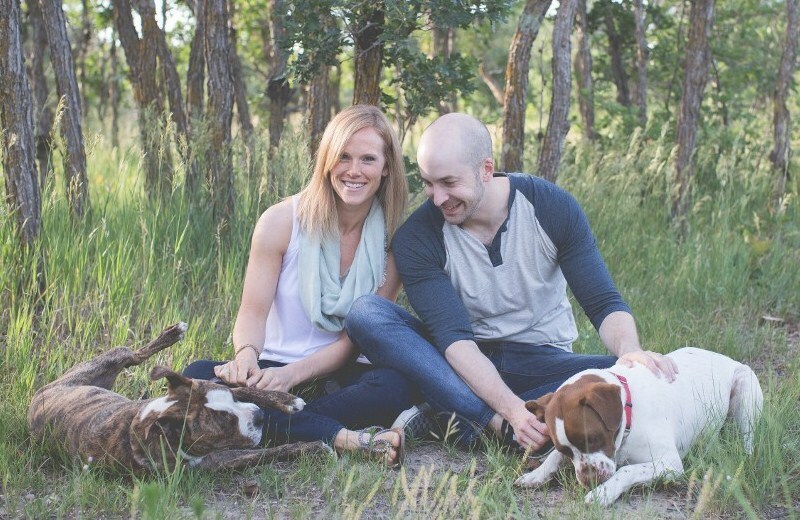 I live in Colorado Springs with my husband, Joel, and our two crazy dogs, Piper and McClane. I’m a Colorado girl through and through. (Meaning I hike, I snowboard, and I think it’s perfectly acceptable to pair flip flops with just about any dress. 🙂 ) Jesus Christ is my hope, my truth, and my life. I never want to force that on anyone but it’s such a big part of me that I found it impossible to be open and honest in my writing without it. My hope is that you see passion, grace, and love in my writing and my coaching and nothing more. In my spare time, I love hanging with my people, dancing, reading, traveling, hiking, and pretty much anything else that gets me outside or active.